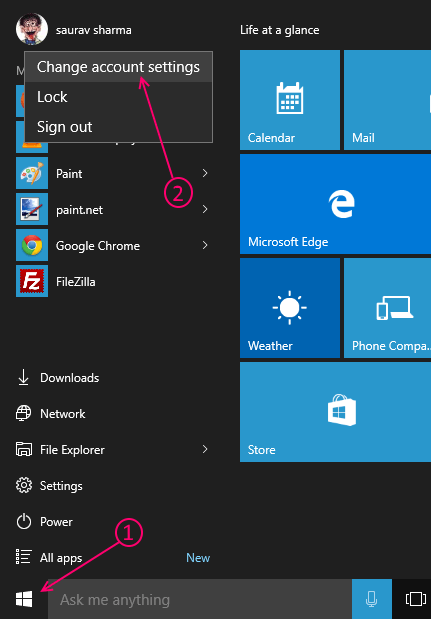 For those who are not sure what a user account Picture in windows operating system is, this is the same picture which is seen on the login screen and in the start menu also. People keep it changing for multiple reasons from time to time. Some users set their pic while others prefer some cartoons, flowers or symbols. But, how cool it will be if you set a video as your user account picture. You flashing your hand or doing funny gestures welcomes someone trying to login to your PC. Everyone knows how to change user account picture, but very few of them know that it is possible in windows 10 to set a video as user account Pic. Now, lets us try to find out how it is done. Step 1 – Click on the start screen and then click on your user account Picture. When you will click on the account Picture, a menu will roll out. Click on change account settings. 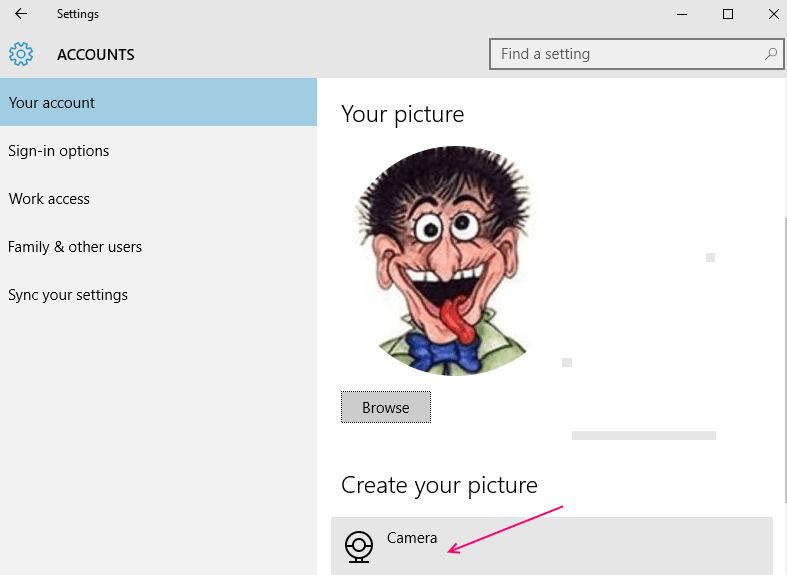 Step 2 – Now, once the setting panel of account picture opens, Just click on camera just below, create your picture. 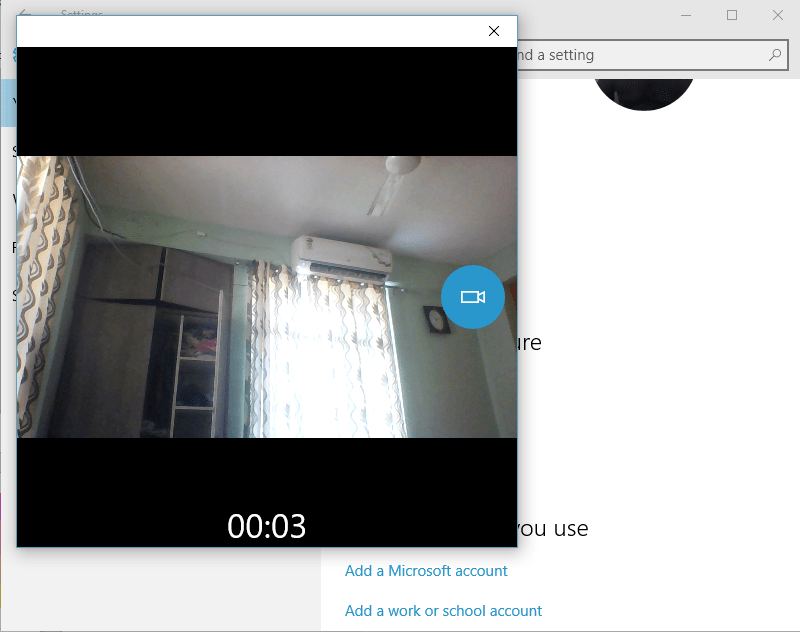 Step 3 – Now, once the webcam of your PC opens , click on the video icon to choose video recording and then click video icon again to start recording video from Cam of your PC. Record as much you want to record and then again click on the video icon to stop recording the clip. Step 4 – Finally Click on Ok as shown in Screenshot below. You are done. 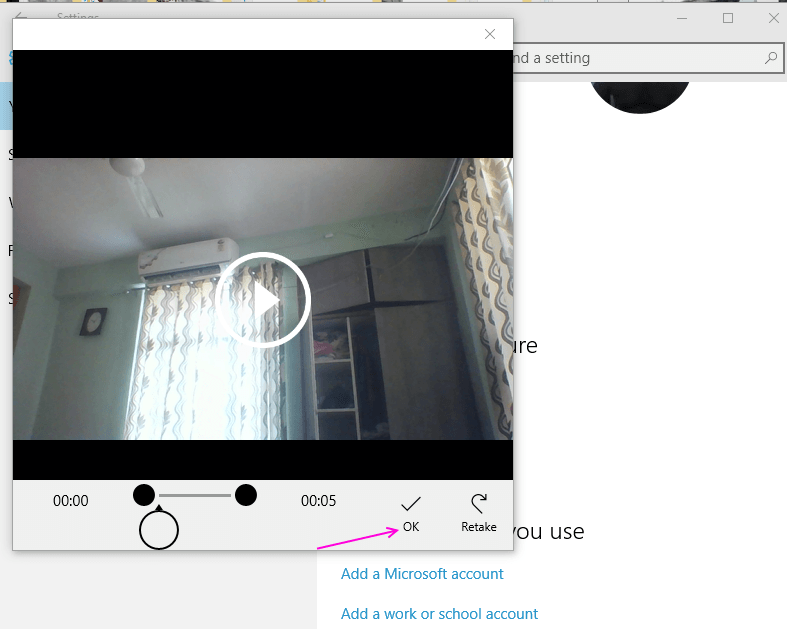 Now, this few seconds clip is set as your account picture in windows. Now, you can just use yourself in the video and can set welcome gestures or weird, scary acts to make user account Video cool. Note that, this video will be static in the start menu (Only video thumnail will be shown). The video will be fully functional only on the login screen.